Into classic rock? Gallows Circus will be completely up your alley. Well, me (Ian) and Jim met when he was doing the sound for one of my old band’s gigs. I’ve known Steve for quite a few years as he briefly played drums in one of my old bands. And Steve is friends with Richard’s older brother! We’ve been gigging together now for just over a year. We started jamming about a year before that. It’s a reference to the fact that people used to go and see hangings for entertainment! Free, Reef, Led Zeppelin, Audioslave, Silverchair, The Doors, Creedence Clearwater Revival, Pearl Jam, Guns N’ Roses, Black Stone Cherry, life. We are centred around rock and blues, but we also draw from a wide range of influences. We fit in the genre of classic rock but do have our own sound going on. It’s hard to place. I definitely like to have a quirkiness to my lyrics! A lot of the subjects are different but they are always things that are happening to me at the time or things that are on my mind. A frequent theme would be questioning the world and social norms. Loud with plenty of dynamics. We’re fond of our ups and downs including our guitarist. He leaps around a lot! It’s about 30 shows now. A band we were playing with one night had a singer that was whipping the bass player’s arse the whole time whilst performing. It was certainly memorable! Our drummer, Steve, has a Pearl kit. Jim plays a Fender Stratocaster most of the time but plays a vintage Gibson SG for songs in different tunings. Rich uses a Fender Precision bass although he recently found a bass dumped in a bin! It actually sounds pretty good and is used for his back-up! 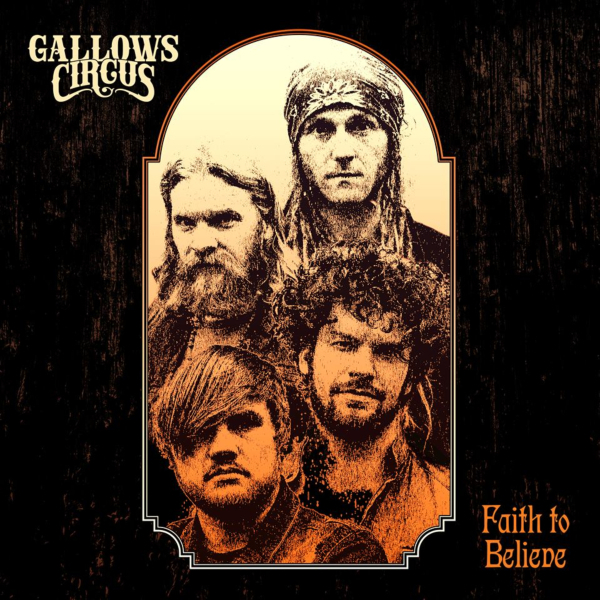 Our next single/video “Faith to Believe” out on the 30th November. Well, the rest of this year we will be calming down the shows so that we can focus more on writing and preparing for 2019 where we hope to release more music and start playing further afield. We would definitely support Rival Sons and have Tarot Rats open up! Both excellent bands!